1 year, 150 recharges, and just over 3000 miles later Im noticing that now its cold again my battery is struggling to make my morning commute (21 miles, a bit of uphill, and usually into the SW wind). This is with a fair bit of annoying battery management, basically riding slower and on a lower assist setting, which just isnt as much fun. Most mornings I end up with between 4 and 7% left, and that last bit under 10% isnt much fun either with the power output hugely limited. My 2016 sduro has the 400wh battery and I believe a 500wh replacement will fit and would probably solve the problem i.e. probably support being on high assist the whole way which would be ace and fun. They arent cheap though at £799. 1) After market replacement battery such as one from allBatteries (468wh for £329). Seems like a bit of an upgrade and cheap too. 2) Having the original recelled / potentially upgraded at the same time. does anyone do this? 3) Wiring in additional batteries to up the total capacity (I see some people have done this), or carry a spare second battery on a rack and chnge it over when necessary. Dont really want to do this. 4) Sell my current one to someone who doesnt need absolute full capacity and put that towards a new 500wh one. My original plan was to try and see this winter out, and perhaps the summer with the current one then just buy a 500wh one before next winter but I'm not sure the capacity will last that long. Even a drop of 5% is a bit of a problem for me espeically on cold days with reasonable headwinds like this morning. You can do any of your suggestions but first it may be worth checking the battery capacity, this manual will tell you how see page 19. If you are getting that low then you are giving the battery a real pasting, the last 10% is horrible but there is also a smaller power reduction at 20%. A 500Wh battery is a straight swap I have hired one before for mine witjout problems. Option1. Yes that battery looks good, I dont know what cells are in it and how it would fare over time, I think you would still be very close to hitting the 20% point. Option 2. I believe Jimmy at Insat International can re cell Yamaha batteries. Option 3. The additional battery is the rout I have taken, initially by hiring a battery and then by fitting an extender battery in parallel with the original. I got a battery built in germany that has 30 cells in it and nearly doubles the capacity. You do have to make sure the voltages are identical when making the connection and always fit the Yamaha battery and turn the bike on before connecting the second battery so maybe not ideal for commuting. Option 4. Maybe you could sell the battery to someone else in the same boat and buy a genuine 500Wh battery that should see you through with a bit more certainty than the aftermaket one. Don't really know what you would get for a second hand battery as people are nervous (rightly so) of buying second hand batteries. I think if I was in your position I would contact Jimmy at Insat International ( +44 (0)208 361 1790) first and see what he can offer, if that avenue is no good buy the aftermarket one and see how it goes maybe carrying the original as a spare until you have confidence. Sorry if I'm being thick... but your Yamaha 400 Wh battery is guaranteed for 2 years and a minimum 500 cycles. I get a minimum of 30 miles from my 374Wh cheapo Phylion/Samsung celled battery. Why are you even discussing this? It's a warranty claim. I can get over a hundred miles out of mine (not when I am in the Alps)! Actually true but meaningless, everyone's hills are different, everyone's journeys and requirements are different. It is easy to check the capacity as outlined in the manual above. The warranty would only be for something like 50% capacity at 500 cycles certainly not 100% capacity. The warranty would only be for something like 50% capacity at 500 cycles certainly not 100% capacity. With respect, that's crap. You should be expecting >80% capacity at 500 cycles/2 years. The OP has just 150 cycles after 1 year. 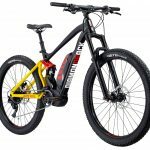 Granted, we all use the available power differently, but e-bikeshop on Yamaha-powered Haibike suggest the Yamaha 400Wh battery offers 43 miles at near constant high/max power use, and warrants to 700 cycles. The OP has nothing near that amount of use, even if the OP is trashing his battery through bad/inappropriate usage. Ok 80% but it is you that is talking crap! If he is hamering it he can easily flatten the battery in 20 miles. No one can state a milage, terrain varies, riders vary and speed varies and to claim you can get 43 miles at near max power is silly. If you are using 400W (max is about 700) you will flatten it in an hour, believe me I know all about battery management in hilly terrain. to claim you can get 43 miles at near max power is silly. 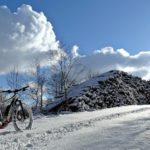 You need to take that argument to ebikeshop who sell Yamaha-powered Haibikes. You ride Austria. The OP rides Cambridgeshire. I doubt the terrain of the two are even remotely comparable. Thanks for the suggestion Chris. I shall try jimmy and go from there. Btw the battery capacity hasn't reduced much. Even when the bike was new I had to manage the battery to make it to work (21 miles, 300 feet up hill, plus headwind). 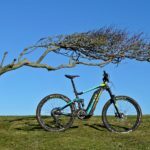 With it always being on the range limit even a drop of 5% capacity makes quite a difference to the ride and required management. That is what I'm talking about trying to fix here. It's not a warranty claim as such. The reason I am able to juice the battery in just 21 miles is because it works very hard the whole time. A couple of months ago my daughter rode it with me on the road bike. We did 26 miles, over 1000 feet of total climb, avg 18mph and she still had just over 40% left. Hi, a bit late to this thread. The way I manage my ride (ie eco, standard and off) I use about 40% of my batteries capacity on each leg of the journey. I can charge my battery back up at work. I store my battery indoors and only charge the battery back to full close to the time I am setting off for work. Using the Yamaha manual that Chris_n mentions I recently found that my battery had been charged more than 700 times (the maximum measurement of the test so it could be a few more than 700 charge cycles or a lot more), but that the capacity was still in the maximum range of 75% to 100%. I have reached 7576 miles as of my return from work last night. There is no issue about using higher power levels and hammering along unrestricted as this is indeed fun. However with a commute like yours I would take a spar battery and at a convenient spot swap over so that you use the same amount of capacity of each battery for the distance you travel. So for your commute swap to the second battery when the first is down to about 50%. Charge them both up to full at work and repeat on the home trip. This will be much kinder on both batteries and used in this way they will last ages. 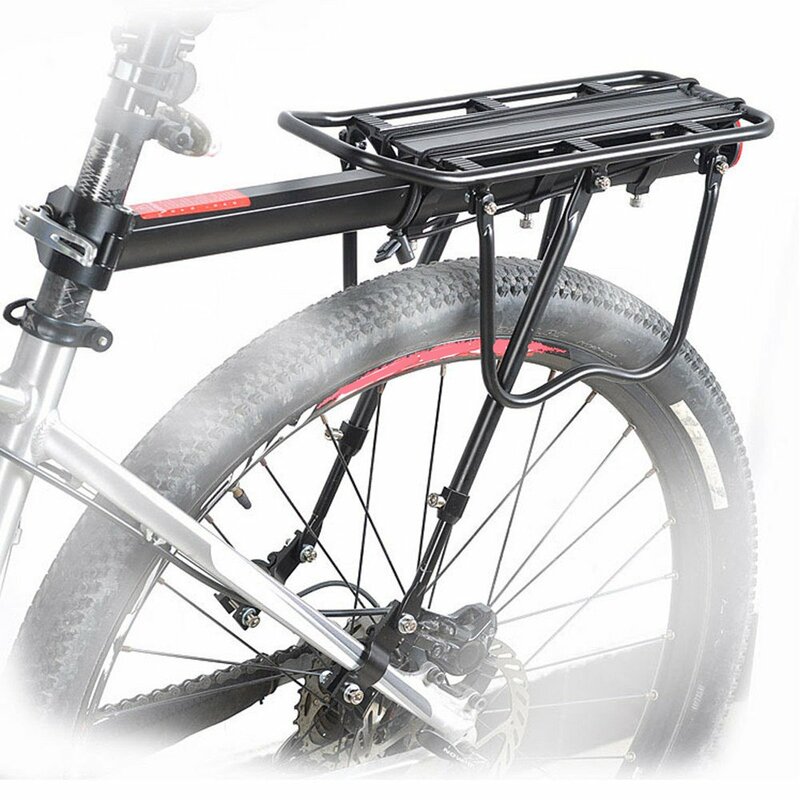 My own preference for carrying stuff is a rack and Ortlieb panniers. The best way to treat these batteries is to store them indoors at about 50% ish percent, certainly not 100% and charge them up to full as close to departure time as possible. The Yamaha PU motor is great but more power hungry than the Bosch. Looking forward to your feedback on the cheaper battery, obviously too soon now. How's the range with the new pack? The battery seems decent. It definitely has a chunk more juice than the 400wh. The rate of decline seems more linear than the original which seems to drop off pretty quickly when it gets under 50% when its cold. Its a tighter fit than the original and took a lot of persuasion to get the thing to fit on the first attempt. Once it had been fitted it then came off and back on more easily but still not as slick as the original. Minor grumble really. 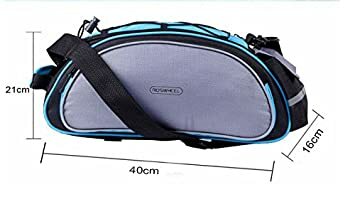 (Huntvp Multi-functional Cycling Bicycle Bag - 14 quid on amazon) (although mine doesnt have blue). It is JUST big enough to get the battery in through the zipped flap of the main compartment. Have to turn the battery on its side with the large end in first then its tight to squeeze the lock part past the zip, but it goes. The charger then fits inside bag with it. Then a bungy strap around the lot for extra anchoring of the bag to the rack. Seems like a good solution and I'm pretty happy with it all so far, especially not having to carry a ruck sack. Hi Doomo, am considering buying a battery for my SduroTrekking from allbatteries next week, they are not too far from where I live so might pop by and get one. At 468 watt/ hour it should almost double my range hopefully, and at less than a third of the normal retail price from Haibike. You still pleased with yours? Yes definitely. So far so good I just hope it lasts. To be honest if it only lasted a year (which the warranty is for) then at that price I'd still feel it gave it's monies worth. Hi doomo, looks like you have set yourself up now in the same way I commute with a rack and panniers. I much prefer to ride without anything on my person. Are you swapping batteries half way? or have you been seduced by your new larger capacity battery to just use that and leave your old one at home?